From modern hotels to picturesque historic estates, North Carolina is home to truly lovely spots to get married. Choose a place in town or country, by mountains or by sea and you’re sure to find a location that is perfect for you and will wow your guests. Take a look at some of the best wedding locations in North Carolina. The Ridge is an outdoor wedding venue modeled after a European style chateau. The award-winning venue is a favorite for its stunning backdrops. Choose your wedding site and you can also book The Residence for the wedding party to make the day go more smoothly. 21c offers the beauty and modernity of an art gallery with the convenience and amenities of a hotel for a wedding or wedding related event. Both large and small weddings can create a space to suit your needs as well as get local culinary genius, host rehearsal dinners and other special touches. A working family farm, Yesterday Spaces are a series of buildings and spaces that can create a rustic chic wedding venue in the beautiful North Carolina countryside. 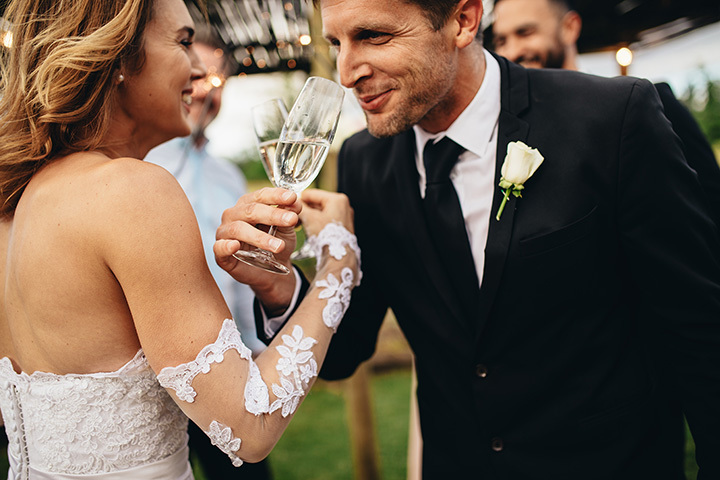 Choose from a loft, a 100-year-old renovated Dairy Farm, fields, fire pits, pastures and other areas that are available to make the wedding of your dreams come to life. Located in the heart of downtown Raleigh, the Merrimon-Wynne House has been lovingly restored to its original 1876 grandeur. Boasting Southern Charm at every turn, the beautiful mansion and grounds are a favorite spot to get married. Choose your own backdrop from the many that pepper the property. Located in the Blue Ridge Mountains and featuring a grand ballroom, Twickehham House & Hall makes for a stunning wedding venue. The 400 picturesque acres are frequently featured on wedding focused websites, thanks to the stunning photo ops that the grounds create. Overlook Barn is a modern rural property that was renovated by the owners for their own wedding needs. Now the property boasts several updated venues that make for a picture perfect setting. Knowing firsthand all the needs of couples and their parties, each venue is equipped for getting ready to walk down the aisle. Historic Barclay Villa is set in the rural countryside, making it perfect for a quiet and peaceful gathering. Surrounded by history, and just over an hour from Raleigh, Barclay Villa offers a castle-like romance for fairytale style weddings. The staff is happy to help answer questions and make suggestions for everything you need for your special day. The history of the Sutherland dates back centuries, and the current owners take care to pay homage to the rich history with minimal intrusions. Beautiful trees and flowers can be found all over the property, which customizes all weddings to fit your size and style. Overlooking Lake Laurel, Highgrove Estate offers more than just a stunning venue. The full service team also provides everything else you need to ensure that your day goes smoothly and stress free. You’ll find a lounge, grand ballroom and other spaces that create a unique wedding. Castle McCulloch is devoted to weddings. Hosting bridal events and wedding shows as well as ranking high on wedding websites, Castle McCulloch features both indoor and outdoor wedding spaces in a historic setting. Traditional and themed weddings are welcome as are preferred vendors and other special touches.